Single Family Home Sales have shown fairly steady results compared to last year. While units, median price and marketing time are slightly worse there has been a few headwinds the market has overcome since the beginning of the second quarter. The Attached Home sales, while greater in number this year, reveal that the lower end of the price range has been dominant. Keep in mind that real estate markets are local in nature and there will be micro markets in every town. Please contact me for a more through analysis of your area(s) of interest. 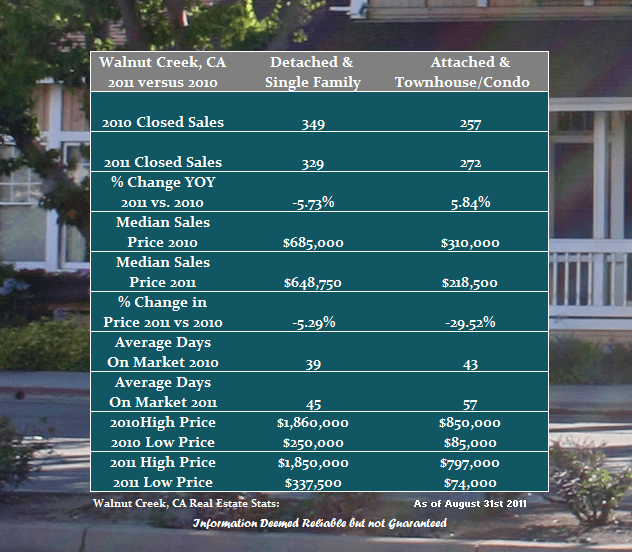 Share the post "Walnut Creek Year Over Year Real Estate Performance through August"